Twelfth Year is a program designed to acknowledge just a few exemplary students of each of Regina’s 16 high schools. Focusing on four grade 12 students from each school, the portrait sessions completed for the participants not only reflect their passions and interests, but also their involvement in their local communities. These model citizens will be Regina’s future leaders, politicians and entrepreneurs. In a joint effort, Erin Ball and Andrea Norberg, who both graduated from the Applied Photography program at SIAST, took over the Youth Salute Program, formerly helmed by local studio Focus 91 in 2015. Ball and Norberg decided that giving the program a makeover rather than completely reinventing it was their best option. 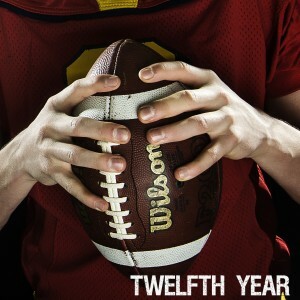 Rebranding the program “Twelfth Year”, the two are grateful to the program’s founders for its inception (and their blessings in handing over the torch). Ball and Norberg have seen the opportunity to put their business outlook and creative touch to the program and hope that the Twelfth Year participants and their parents will recognize that these photographers are entrepreneurs and artists in their own rights. Whereas Focus 91 used to have a ceremony to kick-start the public display of the students’ images in Regina’s malls, Norberg and Ball will have the images displayed in a gallery art showing. See Event for more details.